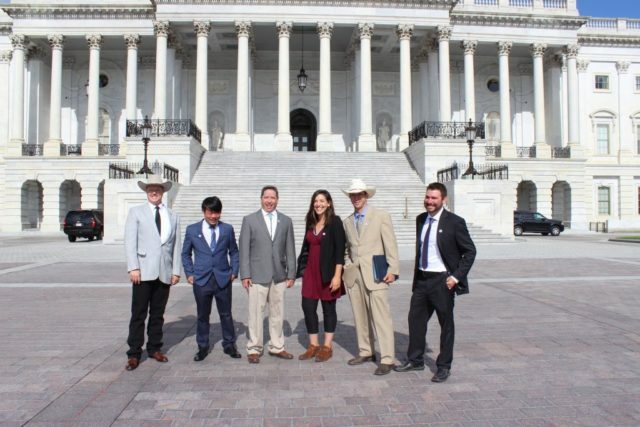 If you look at recent predictions about how climate change will affect farming in the driest third of the United States, you might at first feel as though everything is working against young agrarians. Water levels of reservoirs behind dams on Western rivers are at the lowest levels since the dams were built; and the fossil fuel prices associated with pumping groundwater are rising as the aquifers are dropping. Urban water demand is squeezing out agricultural water uses near some cities. What is a young agrarian to do when trying to select a parcel of land that can support family and friends over the next quarter century or so? 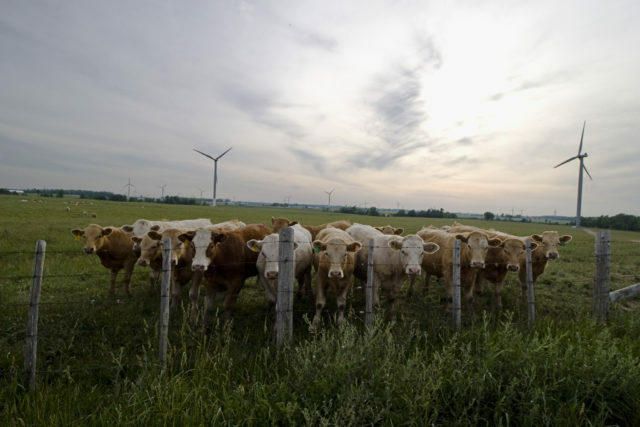 It is clear that climate uncertainty has not merely placed one kind of stress on our farmers, ranchers and orchard-keepers, but many. But in study after study, it has been shown that of any kinds of agriculture, small-scale farming of perennial crops and raising of grass-fed livestock on perennial pastures have the greatest capacity to reduce agriculture’s carbon foodprint, by cutting fossil fuel and water costs, and gaining a greater amount of income for the investment of time, energy and infrastructure. 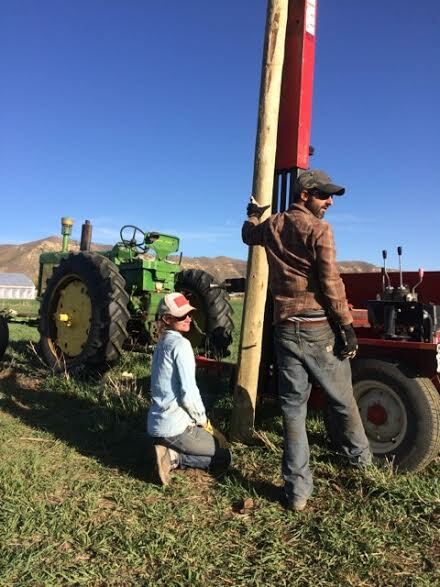 While certain cities once sought to “retire” agriculture to ensure water reserves into the future, many Western cities—from San Francisco to Fort Collins—are now seeing the importance of leasing publicly-owned farmlands to young agrarians to ensure local food security. If any group of farmers is to make it through the eye of the needle known as climate change, it will be the opportunistic, dynamic and resilient ones that invest in low-input, high diversity farming systems that offer value-added crops to nearby urban populations. That said, the riddle that all farmers, ranchers and market gardeners must solve is this: how do we plan and adapt to climatic, ecological and economic uncertainty? While such a riddle may be inherently unsolvable, desert farmers from all parts of the world have intuitively been responding to such uncertainty through many means over many centuries. It may be worth trying to absorb the time-tried strategies of farmers from other eras and areas who have successfully adapted to uncertainty; suddenly your toolkit is much larger. Ironically, it seems that young agrarians prone to exploring permacultural and organic food production methods are much more upon to drawing on the traditions of indigenous or ethnic farmers from desert regions than are conventional growers, who only look into their limited toolkit for technological fixes. My own experience tells me that innovation and tradition are two sides of a coin, not diametrically opposed to one another. I wished more farmers had been given incentives to work on true climate adaptation rather than banking on crop insurance payments when the last five years of drought and heat waves desiccated 71 percent of the annual crops of grains and vegetables in the United States and Canada. It appears the farmers of annual row crops were particularly hard hit. Now, perhaps more than any time in recent human history, we need alternatives to monoculture. Most community-supported agriculture projects are already serving as the nursery grounds for such alternatives. They are not merely sowing dozens of annual crop varieties, but they are planting perennial herbaceous crops and tree crops as well. They are determined to select seeds, breeds and growing techniques that are most likely to get them through the droughts and other climatic disasters. Through a combination of knowing place-based farming traditions, innovation and “taking the long view,” young agrarians are becoming the keys to our future capacity to assure food security in the face of uncertainty. Gary Nabhan is author of Growing Food in a Hotter Drier Land, and a “grayhorn” who has a permaculture orchard and nursery in Patagonia Arizona.